Hello treat-lovers, foodies, and enjoyers of all-things-delicious! Close your eyes for a moment. Now imagine thick, moist, fluffy cake layered with the richest, creamiest ice cream in the world, covered in your favourite mix-ins and white frosting or rich fudge-ganache, melting right in your mouth. Now back to reality! You can have all of this and more, as Cold Stone Creamery has unveiled its amazing offer on its yummy one-of-a-kind ice cream cakes, at 2 for the price of 1! This exciting offer will run for 2 days, 26th and 27th January 2019, at every Cold Stone Creamery store Nationwide. The unveiling of this super amazing two-for-the-price-of-one offer by Cold Stone Creamery is to yet again appreciate YOU – for being an awesome customer! 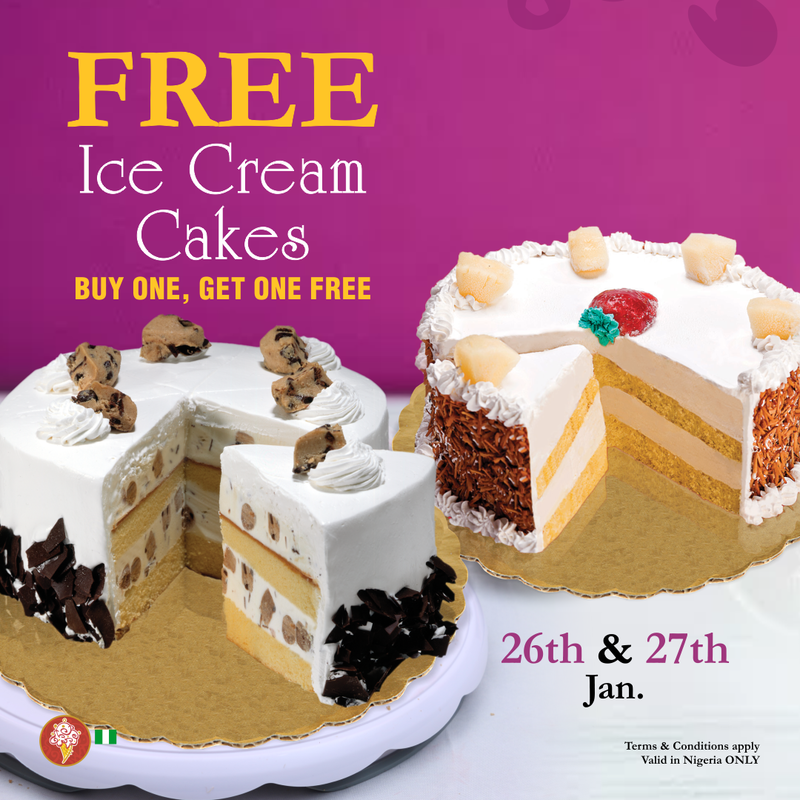 Take advantage of this promo to enjoy any of cold stone’s beautiful signature ice cream cakes, made with a combination of your preferred ice cream flavours and Mix-ins. Now, let’s talk about the flavours – these ice cream cakes are the life of every party and they come in five inviting signatures that send your taste buds to delicious satisfaction! 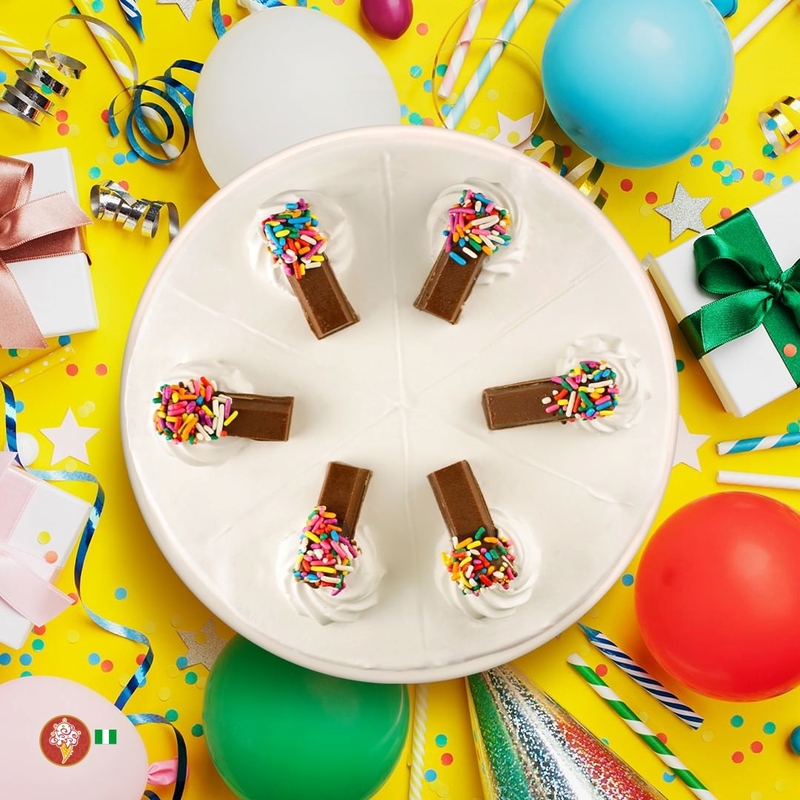 Cake Batter Confetti – Enjoy layers of moist Red Velvet and Cake Batter ice cream with colourful Rainbow Sprinkles wrapped in fluffy white frosting. With this confetti, it is like having a party inside your mouth! Cookie Dough Delirium takes you through layers of rich, moist yellow cake and sweet ice cream with cookie Dough and chocolate shavings wrapped in fluffy white frosting. What about the Midnight Delight? Perfect any time of the day, with its moist Devil’s food cake, fudge and chocolate ice cream finished off with sumptuous chocolate shavings and rich fudge. Cookies & Creamery is yet another amazing signature. It’s made up of layers of moist Devil’s Food cake and sweet cream with the tasty OREO cookies wrapped in fluffy white frosting. 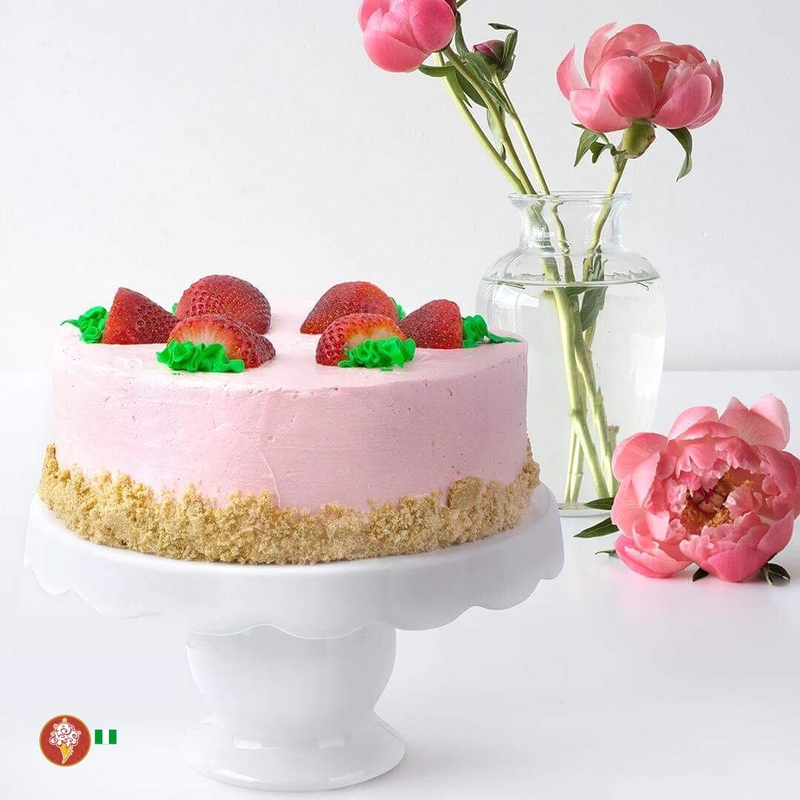 A burst of layers of moist red velvet cake, strawberry puree and strawberry ice cream with Graham cracker pie Crust wrapped in fluffy strawberry frosting is what the Strawberry Passion is all about. The Ultimate Ice cream experience.